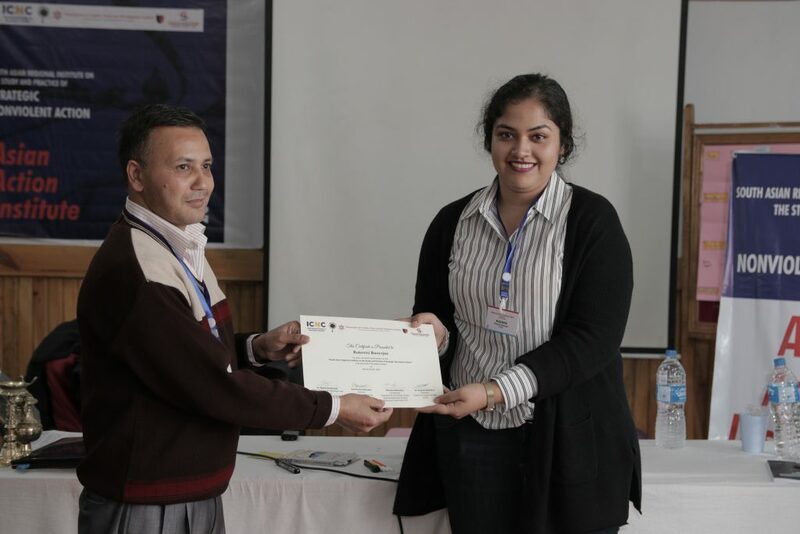 Earlier this month, the International Center on Nonviolent Conflict (ICNC) partnered with Nepal’s Center for Social Change (CSC), Department of Conflict, Peace, and Development Studies, Tribhuvan University, and the National Network of the Families of the Disappeared (NEFAD) to organize a week-long, intensive training program on non-violent civil resistance. 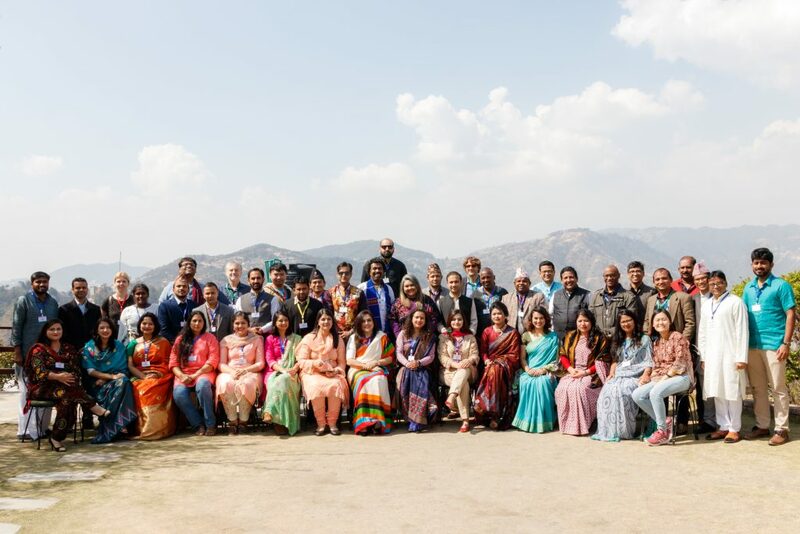 The Asian Action Institute was held between March 3 and 9 in the beautiful town of Dhulikhel, Nepal, nested in the Himalayas. Rukmini Banerjee, President of HasNa, was among the 38 participants carefully selected from all over the world. Other participants included activists, lawyers, journalists, academicians, and NGO professionals from 12 countries from Southeast Asia, eastern Africa, North America, and Europe. The institute provided a perfect balance of theory and practice, with faculty members and resource persons sharing their expertise from different perspectives and regional focus areas. The Asian Action Institute was unique in its focus not only on conventional western theories but also in its examination of the application of such theories in grassroots level movements in the eastern hemisphere. The training sessions provided students with an opportunity to focus on context; and critique the applicability of non-violent civil resistance tactics within repressive political systems. Participants also learned about different strategies and stages in the planning process, such context analysis, goal setting, formulating contingency plans, and identifying and shifting the ‘spectrum of allies’. The highlight of the institute was the field trip to Banepa, where participants met and interacted with ex-combatants from the People’s Liberation Army of Nepal. Learning about the lives and struggles of these former child soldiers and how they regularly organize and document non-violent civil resistance tactics to place their demands before the government was an eye-opening experience for all participants. Mainstream media tends to overlook smaller movements creating micro-level social change on a regular basis. For this reason platforms such as the Asian Action Institute allow practitioners, academicians, and journalists to gain a deep insight into the effectiveness of nonviolent social change movements, while also facilitating an exchange of ideas and information.